All we can do is try to remember that summer in Dublin. The young people walking on Grafton Street and everyone looking so well – It’s a lovely image as Bagatelle remind us. But as the longer nights creep in and the rain begins to come down in torments, many of us hide away behind our curtains, warming our cockles by the fire. A far remove from the streets of Dublin’s inner city. Yet, that is where you will find Natasha Morgan and her partner Tony Walsh on most evenings. With the number of people sleeping rough on the city’s streets up by more than 50% in the past year, the duo felt compelled to act. 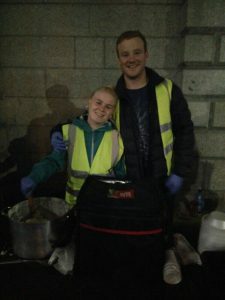 Starting with a soup run last year, Feed Our Homeless Inner City Dublin now operates on four nights of the week and has become a literal godsend for the homeless contingent in the capital. Despite their expansive plans, Natasha acknowledges that they would not survive but for the team of volunteers on the front-line. Yet while they regularly boast sufficient numbers, they were no doubt boosted by the presence of several members of the Leinster Rugby squad recently. Having helped out a number of weeks back of his own accord, Peadar Timmins subsequently got onto several of his teammates. A troop of players duly followed his lead and they took to the streets of Dublin the night after their win over Munster. “I always think that whoever is in a position of influence should do something to make a difference,” Natasha insists. “If you’re in a position where people listen to you, look up to you, you need to be doing something good and helping to inspire others to be better people and to do good for their community. They are the people who make it ‘cool.’ Yet most of them don’t do enough. But the Leinster lads got straight into it. They were brilliant. 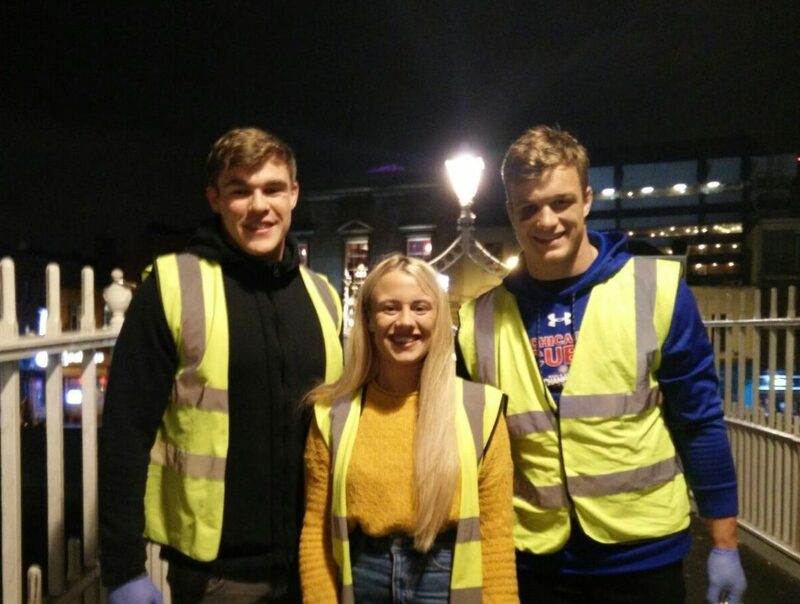 As Timmins, Josh van der Flier and Garry Ringrose accompanied Natasha on her nightly expedition, they too met with the human element that so many onlookers choose to ignore. From meeting a grandfather in a doorway on Grafton Street to another individual who was only given a bed for a night by his probation officer, the Leinster players met all walks of life as they try to get by. 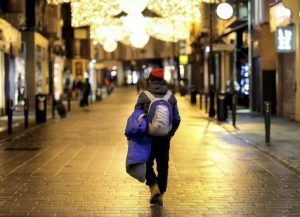 For more information on Feed Our Homeless Inner City Dublin click here.